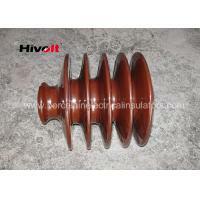 IEC standard 15KV vertical composite pin type insulator , grey brown for distribution lines. 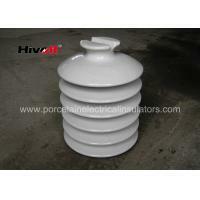 We developed silicone rubber pin type insulators which equivalent to porcelain units . the silicone rubber types have good proformance , it save much unit weight , and easy for handling . normally the insulators can work more than 20 years on line . 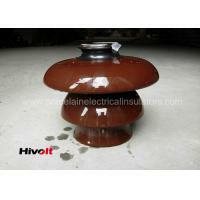 the insulator has tipe top or clamp top , which suitable for accept bare conductors . 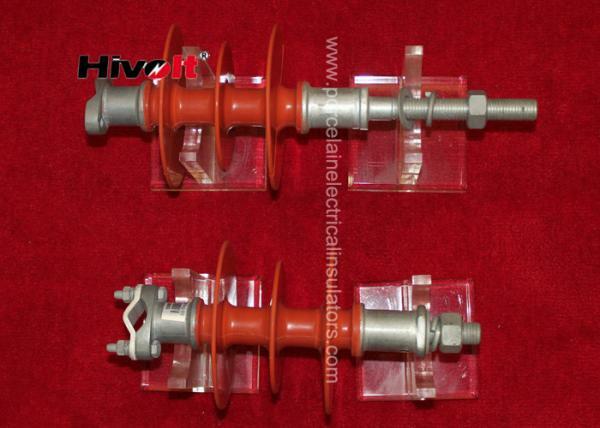 ​the insulator pin can be long or short type , which suitable for wooden crossarm or steel crossarm . 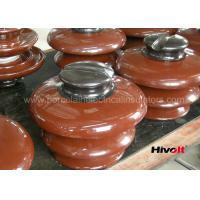 the pin insulator core material is fiberglass rod which produced from the highest quality materials. Strands are aligned for maximum cantilever strength. The rod is more than 50 percent glass fibers in cross section. 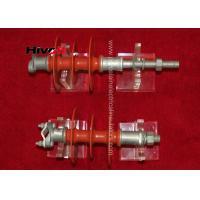 End fittings are cast steel.the fittings surface are hot dip galvanized , or aluminum alloy . ​which provide same mechanical performance. 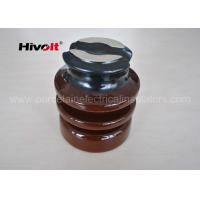 the silicone rubber are HTV type ,which come from Dow Corning . Interface between silicone rubber and fiberglass rod are well treated with sealant . This feature prevents intrusion of moisture and contaminating elements.
. The finish product have excellent mechanical and electrical performance. Dalian Hivolt Power System Co.,Ltd. 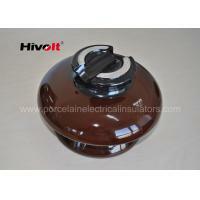 is a reputable insulator manufacturer . It was set up in year 1990 with product range of porcelain insulators , composite insulators ,and relevant metal fittings for transmission & distribution lines. We get power from more than 400 diligent staff and 50 experienced engineers . we look the quality as our company Life ,and keep improving products quality . we strictly control the whole manufacturing process according to ISO 9001 : 2008 edition ,and focus on each quality details from raw material to insulators performance test .the powerful test facilities can make sure that each product under control. 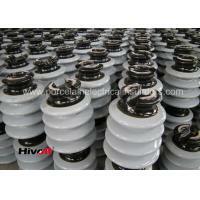 We can supply insulators according to IEC standards, ANSI standards,BS standards or customer specfications . 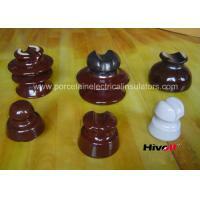 porcelain glaze can be made as colour brown, light gray ,white or blue . Composite shed colour can be light grey or red . 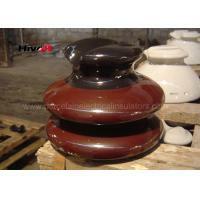 in the mean time , we also supply high quality tonghened glass insulators for domestic market and overseas market. 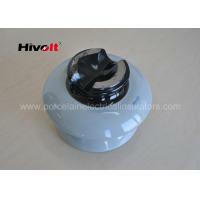 Dalian Hivolt Power System Co.,Ltd. is a reputable supplier ,we have successfully supplied many kind of insulators to more 30 countries and regions due to reliable quality & reasonable price.We promise if any insulator from our company has quality defect , we will replace them at free charge in 12 months after receipt.We hope to set up a long term cooperation with you and enjoy the course together.